Head over here for a set of urinals that most people don't see everyday. 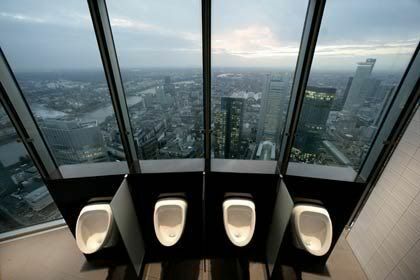 Well, I guess women don't typically see 'any' urinal everyday, but you get the idea. That view is so awesome I think I could just use the damn place all day long. Better start drinking...lol!